Bark on trees can be such a beatiful thing! I really love Birch Tree bark curls. The contrast inthe colors and texture! Thank you for stopping by and commenting. I am glad you enjoyed this image. Beautiful, Arati! This is the piece you were celebrating today on our call. I love it. It is rich and delicious! Gorgeous! 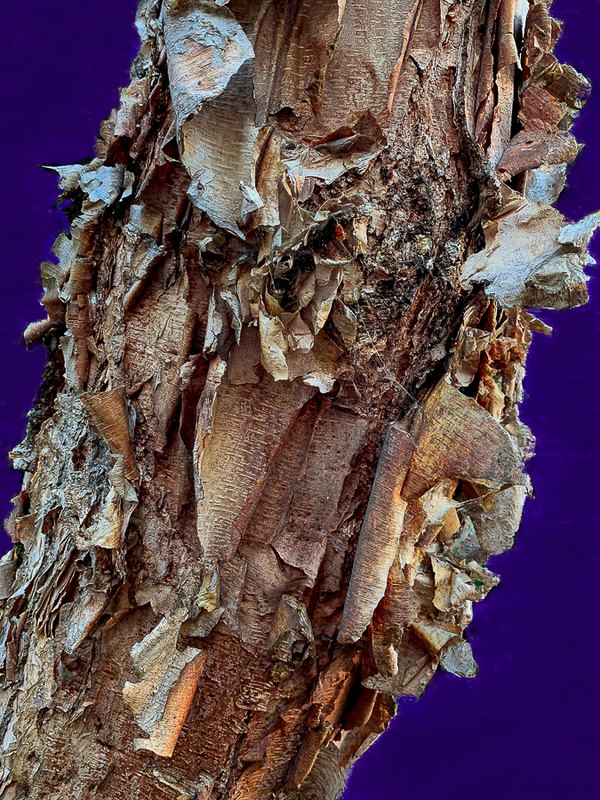 I love how the deep purple highlights the light blue in the shedding bark. Lovely. Thanks for sharing both the art and your process to create it! YAY! Thank you Terry for stopping by. I delight in reading your comment. I was so glad to be able to share my celebration and thoughts about this piece with you all this morning. I can almost feel that bark. Cool, glad to hear this. Glad to hear this. I had fun painting in the background.